A couple of years ago, I discovered the wonder that is Salvi's. 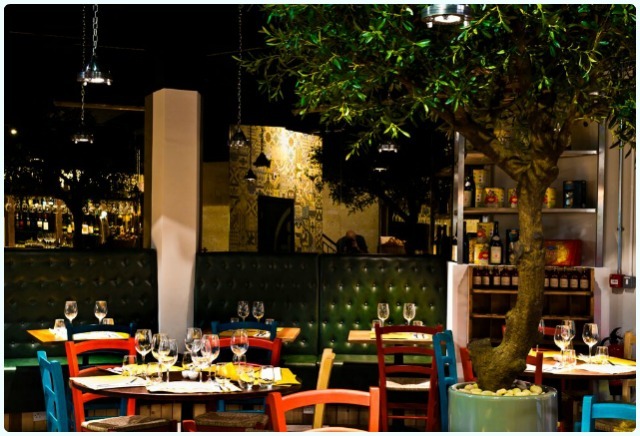 I sampled their 'Cucina' on John Dalton Street, and was totally smitten. I'm generally a bit non-plussed by Italian food, often favouring spicier options like Indian or Mexican. Italian as I knew it changed when I went to Salvi's. Fresh pasta, constantly changing specials, home made desserts and entertaining waiters make this family run business, the business. Their 'Mozzarella Bar' has just reopened in the city's newest foodie haunt, The Corn Exchange. Gone are the drab, soulless days of 'The Triangle', and now Salvi's rub shoulders with the likes of Mowgli and Wahaca. However, unlike the fancy exteriors of their neighbours, Salvi's have a small, unassuming shop front which can only be accessed from outside. It may look like a small deli, but if you venture inside, you'll find one of the cutest dining rooms in the city. I'll be honest, this set up caused confusion to begin with. We walked inside to find we appeared to have joined a queue. When we got to the front, the chap serving appeared very confused when I explained we had a table booked, however after a few awkward seconds, pointed us towards some stairs at the back of the deli. It's tiny, so you will genuinely wonder whether you have gone horribly wrong. Downstairs is a different story. 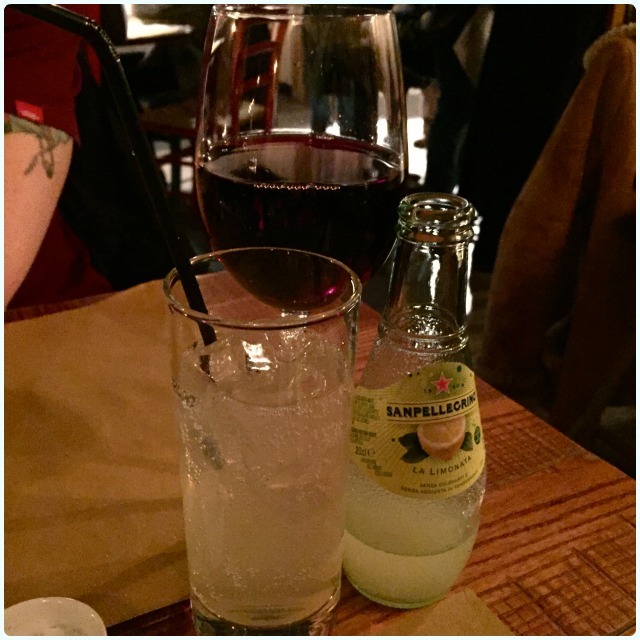 We were warmly welcomed by a cheery Italian chap, who showed us to a lovely table in the dimly lit dining room. The lighting is low, but it feels far from gloomy with the brightly coloured furniture and shiny green leather. Drinks were offered swiftly, and menus were in hand, with the upstairs confusion strictly in the past. 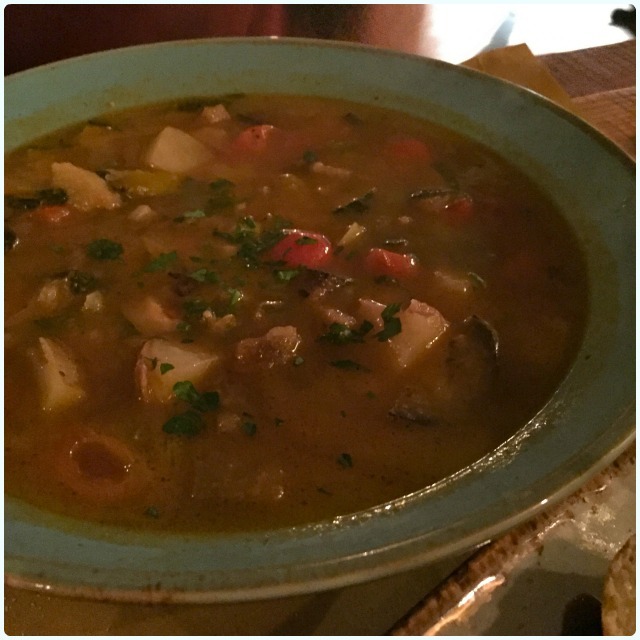 Minestrone soup: My husband's favourite, personally I'm not usually a fan. This was gorgeous. It tasted as strong as a tomato consommé, but with lovely chunky vegetables. 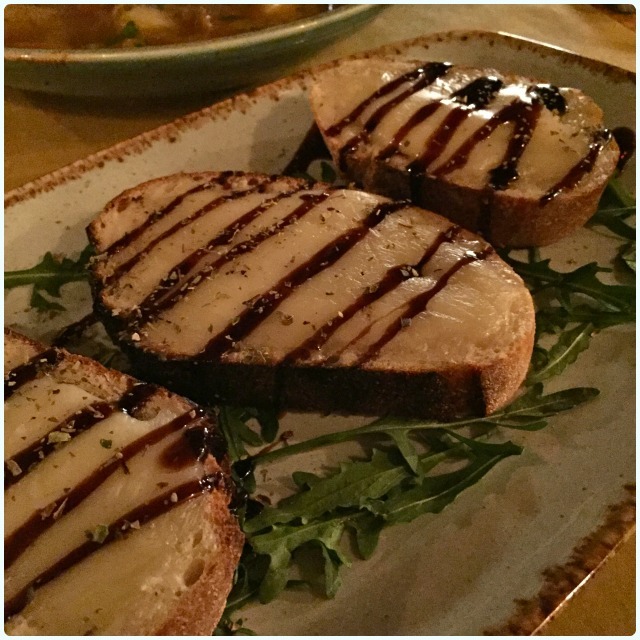 Bruschetta con Tallegio: Basically posh cheese on toast with a tangy balsamic glaze. I'd give it a big kiss if I wasn't too busy eating it. I'm adding balsamic vinegar to cheese on toast from now on; Bruschetta con Horwich. 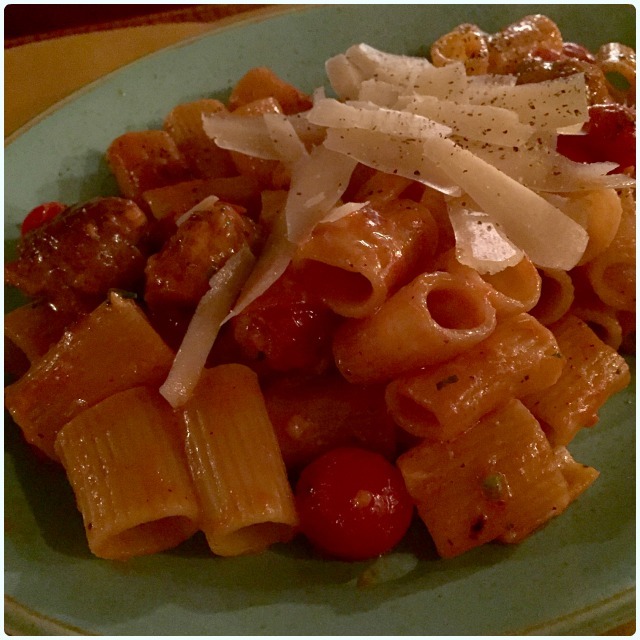 Pasta with Italian sausage: Pasta never thrills me. It's just pasta. However, pasta from Salvi's is a very different story. I'm confident I could try any pasta dish of theirs and love it. Perfectly al dente with generous chunks of sausage. 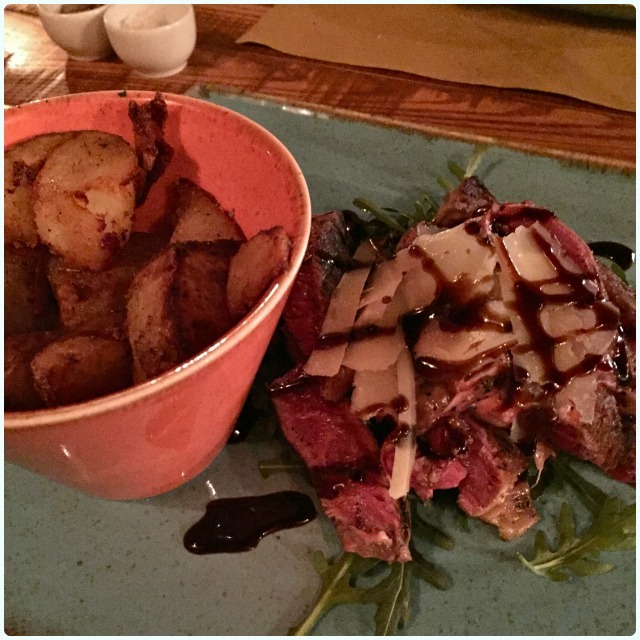 Rib eye steak with roast potatoes: The photos do not do this beaut of a dish any form of justice. Seriously, it's one of the best things I've eaten in some time. Thick cut strips of rare rib eye steak, covered in cheese and that beautiful balsamic reduction. The potatoes are no afterthought either; perfectly crisp with fluffy interiors. It made me very happy indeed. I also need to add that this dish is under £15. Bargainous. 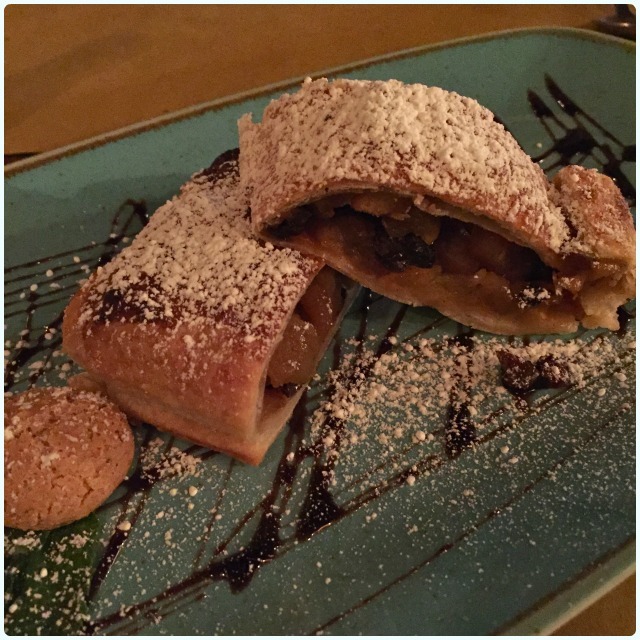 Apple strudel: Paddy, 'I'm just having a coffee'. I've heard that before. Needless to say, I only saw half of this. Genuine joy. Genuine anger that it isn't in front of me this very second. I've never had a bad meal from Salvi's. They were really busy on Saturday, and there were a couple of incidents where the wrong food was delivered (awkwardly, it was for the table next to us! ), but this was dealt with using equal measures of sincere apology and humour. Forgiven in an instant. The front of house staff were excellent, and the food blew our socks off. It even prompted me to make fresh pasta for dinner on Sunday! Not the same, it turns out. You're going to struggle to find better Italian food in the city. 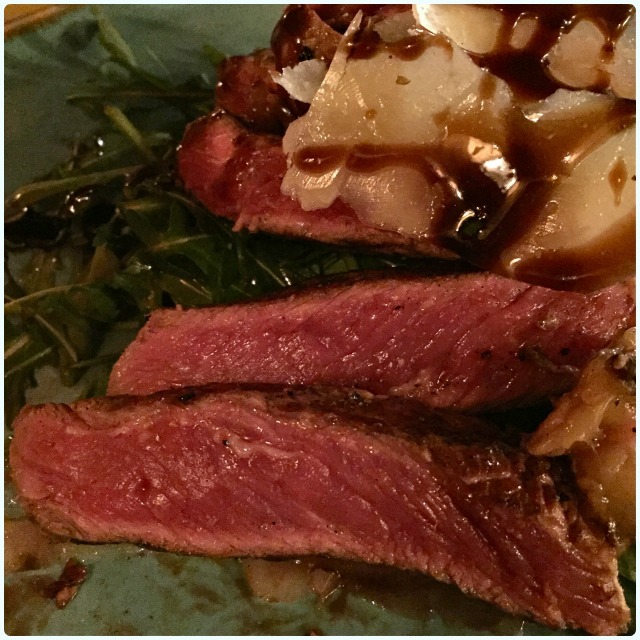 Disclaimer: I was invited to go and sample the new menu at Salvi's Mozzarella Bar. However, this was met with genuine elation, as I already knew how much I loved them. They have not paid me to say nice things, and indeed I regularly pay them to feed my face.